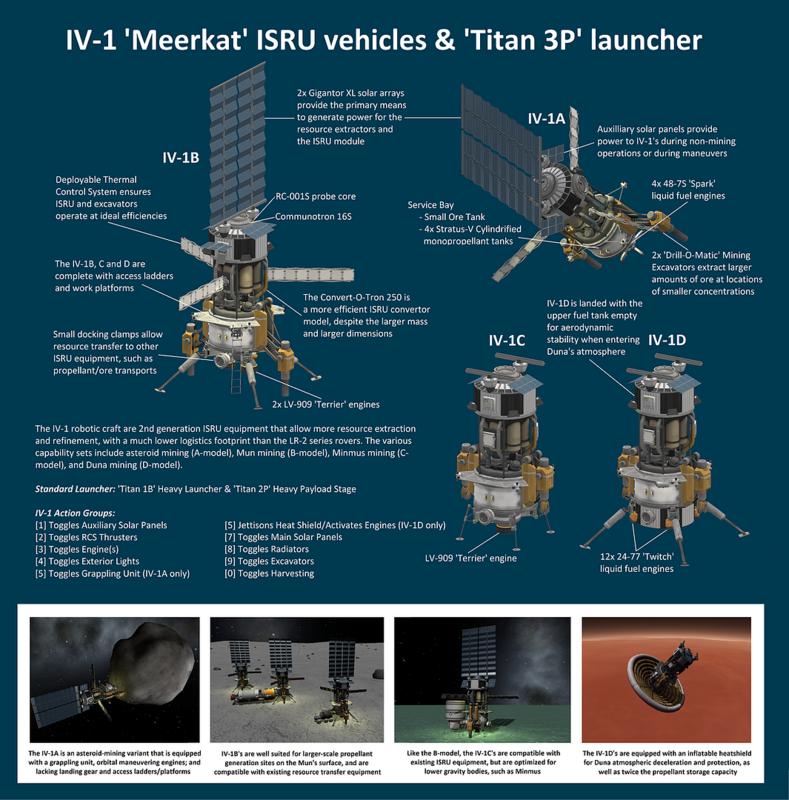 The IV-1 robotic craft are 2nd generation ISRU equipment that allow more resource extraction and refinement, with a much lower logistics footprint than the LR-2 series rovers. The various capability sets include asteroid mining (A-model), Mun mining (B-model), Minmus mining (C-model), and Duna mining (D-model). ISRU Hardware hanger - All in one place.